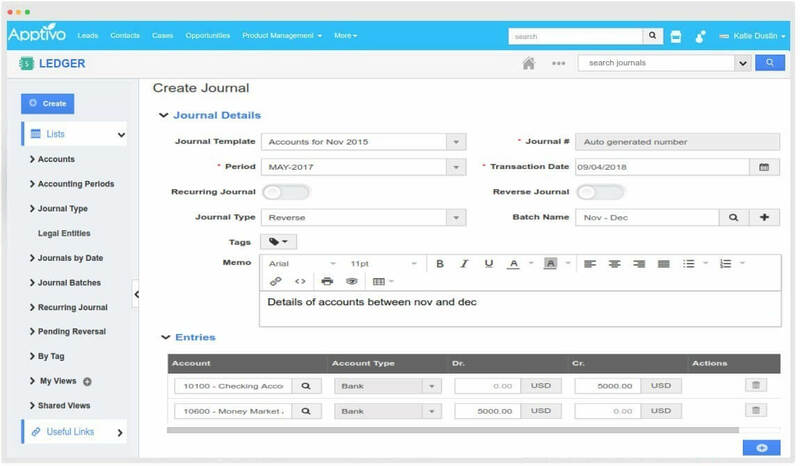 Apptivo Ledger application is a tool that lets you make an accounting ledger or journal to manage your business transactions. It helps your business in maintaining easy bookkeeping by creating journals, ledgers, trial balance and balance sheet. Effectively keeps track of financial transactions and is used to generate the company’s financial statements. 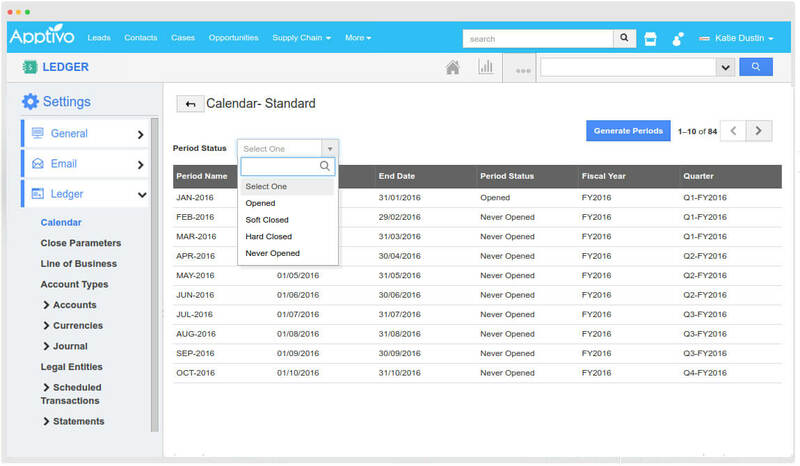 Easy to create ledgers, giving you a complete control of your accounting data in a chronological manner. 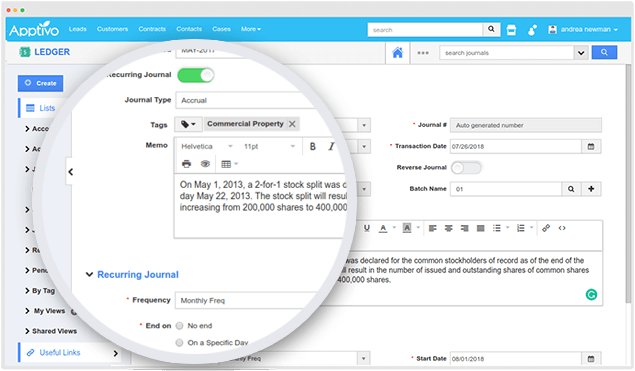 You can create a new journal newly or by using journal templates, created earlier. A flexible configuration of financial calendar and periods. You can easily define custom financial periods, in which you want to record the transaction. You can keep periods open as long as you need, based on the transaction. A closely integrated accounting rule feature for the Apptivo Invoices & Expense Reports App. 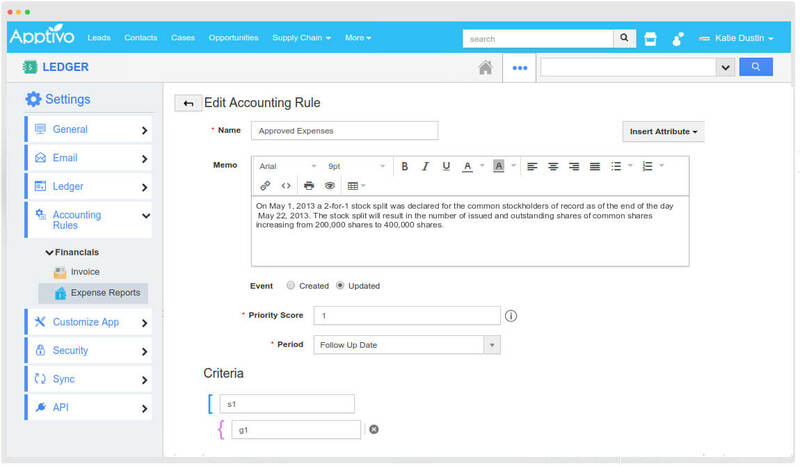 Create and configure your own accounting rules, based on which a journal will be created automatically. There are predefined categories of accounts and journals seeded for your convenience with complete hierarchy. You can also create your own Account Types and Journal Types, accordingly. 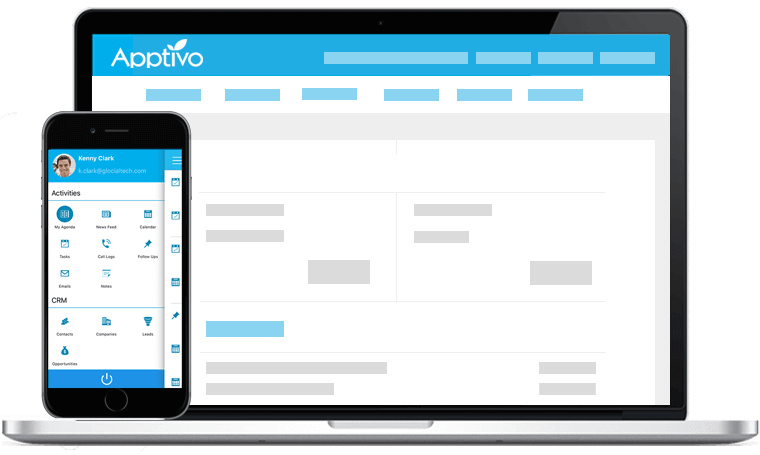 Apptivo provides unparalleled flexibility of customizations. 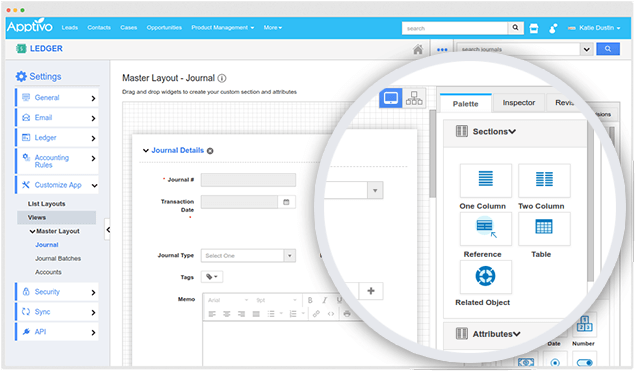 Unlimited custom fields and sections, show or hide the fields in the creation page, create and configure list layouts, customize the standard views and creating views from search results, and much more. 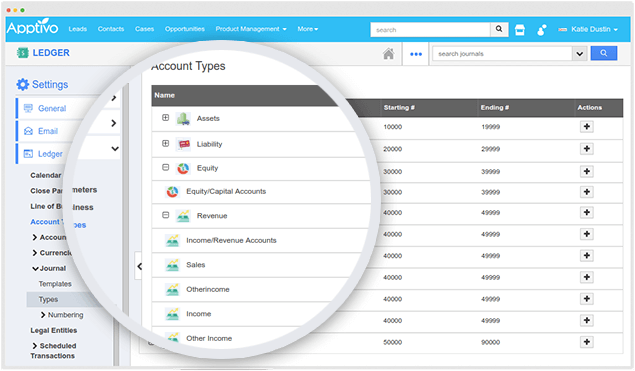 A smart accounting integration to manage invoicing, bank reconciliation, bookkeeping and more. 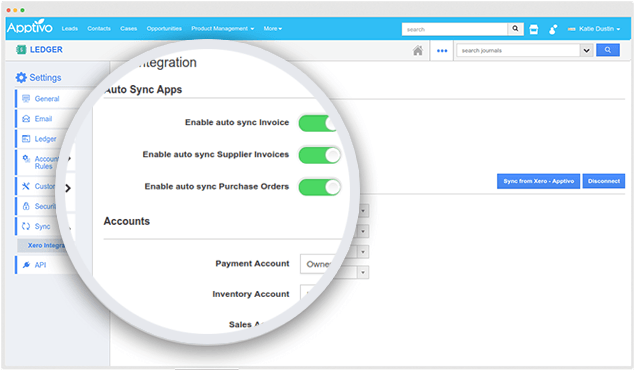 You can instantly import the accounts from Xero, and effectively sync your transactions across. Ability to create recurring expense and income transactions based on specific schedules. You can reverse the transactions with just one click.